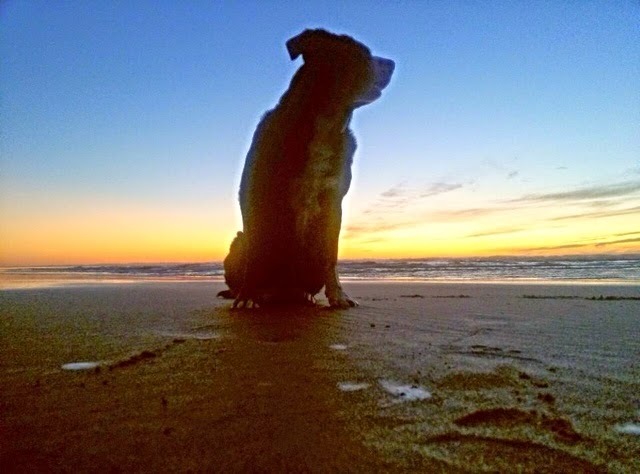 DBP MAGAZINE ONLINE PRESENTS Spotlight on an Original Dirtbag: "A RiverRescue Dog’s Dream For A Better Tomorrow ~ Dojie River Starr" by MarlinStarr. | DBP MAGAZINE ONLINE The World's Best Free Whitewater Publication. DBP MAGAZINE ONLINE PRESENTS Spotlight on an Original Dirtbag: “A RiverRescue Dog’s Dream For A Better Tomorrow ~ Dojie River Starr” by MarlinStarr. 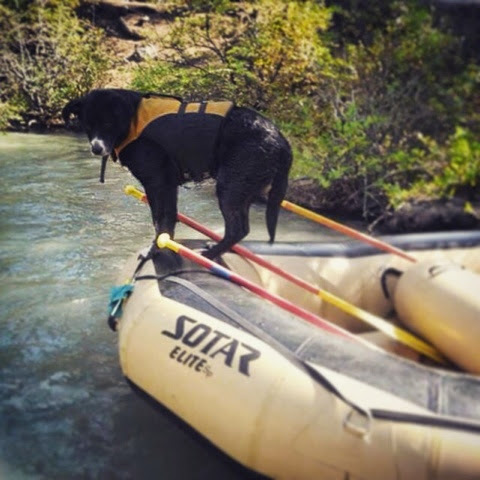 The Spotlight series highlights another Dirtbag Paddler who paved the way for the world we live in… February is TOP DOG Month here at DBP… What better way to celebrate than with a story of heroism and true companionship? 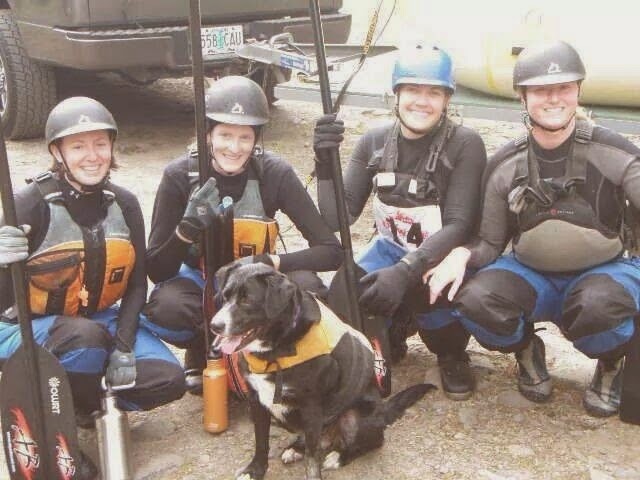 So we bring to you the true story of Dojie R Starr, an amazing river rescue dog who lived her life TO THE FULLEST! Typically our Spotlight articles run at month’s end, but Dojie’s story is so incredible we’ve decided to run parts One and Two halfway through, and give you parts three and four on the last Thursday of February. We run a Spotlight excerpt every Throwback Thursday on our Facebook page. 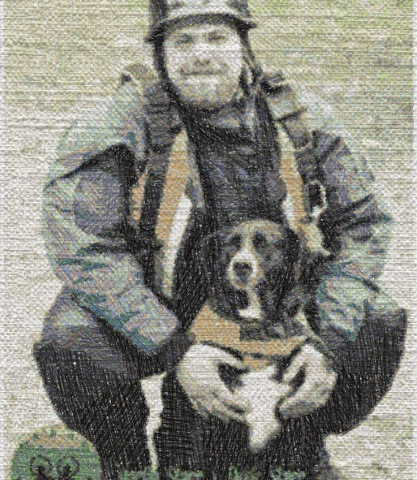 Dojie was a very special pup and a true Dirtbag Paddler! We were proud to call her a friend in life, and honor her memory with this very personal account by her best friend Marlin. Enjoy! Dojie’s training started before she ever arrived in this world. Her mother was a yellow colored lab named Girl. Girl was a friendly dog with a mothering instinct, and when she first arrived at my friend’s house she gave birth to a litter. I told my friend jokingly, yet serious at the same time, “I get the first pick of the litter.” Girl had nine little puppies; five were boys and four were girls. I wanted a girl, because I believe that the best combination when the handler is male is for the dog to be female, and vice versa, and from my experience this is the best fit for me. I knew I wanted a female, and I was able to work with all of them from day one. I did the cognitive stimulation exercises as often as I could get over to see them. This entailed taking each puppy twice a day from day one and positioning them in every way possible, whether the puppies liked it or not, for 10 to 30 seconds, increasing as you go. We started out slow: left side 10 seconds, right side 10 seconds, then upside down and right side up. As we all know the brain is a muscle. By doing these exercises we exercised the brain, building spatial awareness and overall brain activity. As their eyes were still closed it engaged all the other senses. When their eyes opened I would put all the puppies on one side of the room (this was a large living room) and I would position myself on the other side to see who would come over to me. Each puppy was labeled with a hand braided hemp necklace with colored charms indicating which pup was which. Each and every time little Puppy Purple Charms would come running to me. You see, for me that was the first step – I did not want to own a dog, I wanted a companion! These techniques I had gleaned from other people, having heard of wonderful dogs that pick their owners and how amazing they are. “Hold on a second… so your system will not accept the name of my dog?” Okay, me being Marlin the dyslexic rafting hippie, I figured, “why not spell it the way I would spell it?” So I repeated it to myself, “D.O.G,” faster and faster I said those three letters. Dojie I told the receptionist. And it was Dojie ever after. Dojie’s official training started from the day we brought her and her sister home at six weeks old. At the time we lived in a little house set on a lot with a large field in back with an apple tree in the middle. The field ended in marshland, with trees around a little creek formed into a pond where beavers had made a dam. Twice a day, before and after work, was training time for the puppies. Training time was fun and hard work, as we made our way around the 8 acre property in a loop. We called our walks “walkabout,” the walkabout would go through the woods, across the log, through the brush, over trees. These walkabouts took time, and my roommate and I refused to help the poor little puppies but we waited for them to keep up, however we would coax them through the hard parts. Not helping them was done on purpose; I wanted a dog that could think for itself, act on its own, create its own calculations, and make its own decisions. I knew in the wilderness that these things were a must for her to survive. Over the logs and through the woods we would go. At first the most dreaded part of the journey for the poor little puppies was the creek; it was still daunting for a small puppy to be able to cross the great River in all of its mightiness of 5 feet wide. The humans would run and make the leap. At first it could take up to 15 minutes for the puppies to finally decide to cross the great divide between them and the humans. But Dojie was quick, and she always wanted to be near the humans. She would back up her hind legs onto a tree trunk and run towards the creek as fast as she could! and leap! with all of her might, hurling her body across the creek… only to lose momentum and land in the middle of the it, coming up sputtering and spitting and swimming to the edge, getting out to give us the stink eye. “Stupid humans, could’ve save me.” She was always so indignant about things that were not her idea, but we would praise her on how good she did. I never trained her with treats, only love, because I knew when I was on the river the last thing I ever wanted to do was pull mushy treats from my pocket. 70/30 was my rule of thumb: 70% praise, love, affection, “good dog” and 30% “bad dog” you did that wrong I don’t like this. She always had a desire to please. I would look into her eyes and she would tell me, “So I’m a good dog yeeeaa! I’m a good dog, now do you want to throw my stick?” A reward was always the same: love, affection, playing with joy and affirmation of how good she was. I knew that I wanted a dog that I didn’t have to leash… but how could I go about getting a dog to not run away? I thought to treat her like a child… And so I would count. “Dojie come One, Dojie come Two, Dojie Dojie come three.” Just like a child, there was a consequence for not obeying by three. Everything was fun to do for her and I. We camp year-round a lot here in North West Oregon; its not a big deal to camp 12 months out of the year. This type of camping requires big fires, lots of tarps, and lots of alcohol to keep warm. After the first time out, I changed how I camp. It used to involve a sleeping bag, cot, and tent. You learn very quickly when you have a puppy that sleeping bags are not the best option. Because it was wintertime, temperatures dip down into the 30s, and Dojie would inevitably lick my face until I would wake up, whining about being cold and wanting inside where it was warm. She would crawl to the foot of the sleeping bag to be out-of-the-way, and it only took one time of her puking in the bottom of my sleeping bag for me to change how I did things. For the next 10 years, when the temperatures dipped she would start by poking then licking my face as if to say “Dad I’m cold! Let me in.” I can remember watching her sit by the fire rotating herself slowly but surely, drying herself. She always loved a fire after a hard day on the river. River training started next. Our first Spring there was one or two trips before the first big trip, and the river we were going to was a long drive from home, but Dojie had no problems traveling. She would snuggle up next to me, her chin on my leg, sleeping most of the journey. We would stop and she would go pee, always getting a run in, each time looking at me as if to say, “Do I have to get the car again?” Idaho State Highway 21 passes through the beautiful Boise National Forest, the way being dotted with hot springs. This was Dojie’s first experience with the warm waters of a hot spring; it was not too warm if you asked me, but if you asked her she was being boiled alive and she screamed bloody murder. But Dojie wasn’t injured or harmed at all and chose to lay down next to the Hot spring. We woke up the next day and started our final leg of the drive to the put in of the middle Salmon River. 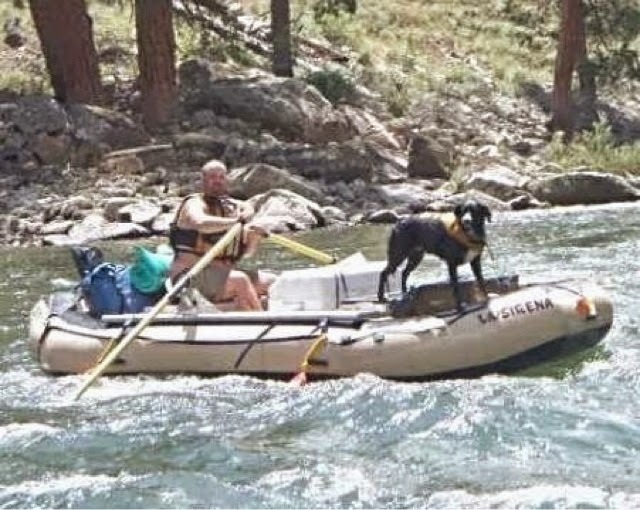 From that first big trip, seven days and 100 miles of wilderness, Dojie started on the path to become a River Rescue Dog. 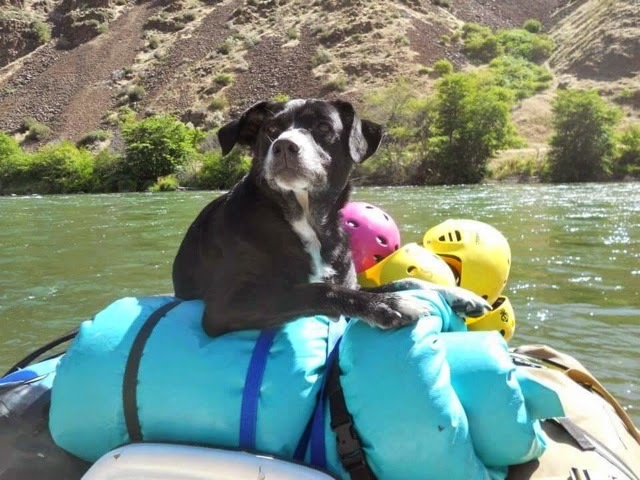 Dojie learned a lot that first year on the river, like “My lifejacket is on, I am safe,” and don’t let the humans get too close to you when saving them, they will try to climb on top of you. People ask me all the time, “How did you train Dojie to rescue humans?” I feel like I didn’t teach her that specifically, rather, I’d praise her when I would see small traits that I wanted to reinforce. It all started when a friend fell into the water thrashing. Dojie learned quickly that if she swam circles just outside the reach of the human, they would struggle to reach Dojie and she would lead them to safety. All of the amazing things Dojie accomplished were because she wanted to please. She took pride in her job. She was a completely different dog when you put on her uniform, her PFD. I would always tell her, “Time to go to work.” There wasn’t a time I wasn’t trying to teach her, and she was constantly training me. It was always amazing to me. No matter how bad the day, at the end when the sun went down she would go to bed; she always knew she had to get her rest because tomorrow was a brand-new day. No matter how bad today was, she always had a dream for a better tomorrow. It quickly became apparent that Dojie wanted a job working with me on the river. My job is white water rafting and fishing guide, and she started traveling with me on trips. 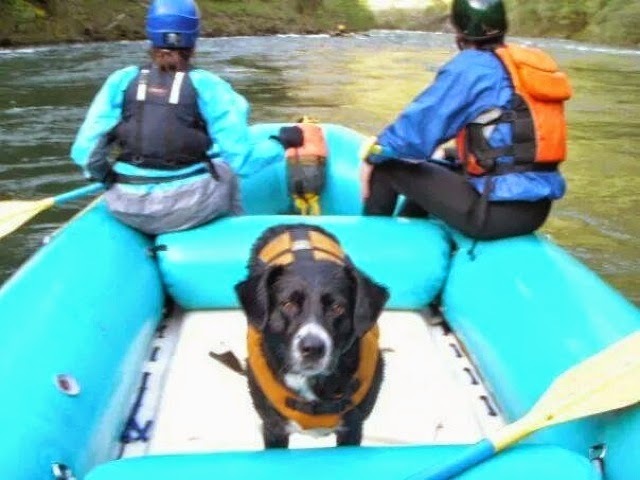 I was lucky to work for small guide companies that would allow Dojie to come with me, and she fast became the most popular attraction on the river. Early on, I got tired of people emailing me, calling me, texting me, all with the same question: How do I get the pictures of my trip with Dojie and I? It became overwhelming for me to keep up with the requests so I put together the Dojie R Star Facebook Page, so all of our customers would have a centralized location to gather photos from. Dojie took her jobs very seriously, some jobs that I assigned and some jobs that she just wanted to do. Everything when it came to Dojie’s work life were things that she wanted to do. As a dog parent, it is the job of the parent to pay attention and communicate with your dog to find out what jobs they want. For Dojie there were several, but people hunting was her favorite. 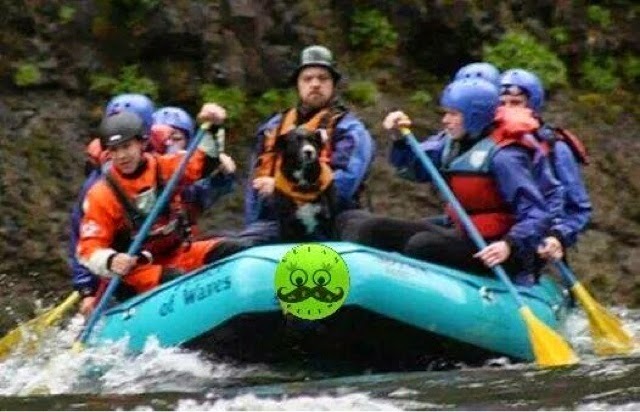 She took it upon herself to keep track of all the people on the boat that day. We’d pull off to the edge of the river to hike up to a hot springs or pool or for lunch, and she would take it upon herself to keep track of all the people. This would include making sure she knew about the people who went to the restroom, the ones that were swimming in the river, and the ones that were at the table. She would recognize all the humans by scent and sight, and if one went missing she would automatically find out and stress about it… for the most part they were in the restroom not really wanting to be disturbed in the first place, but always happy when they came out and saw her wagging tail, saying “Hey I found you!” Then she would come back and report to me that all the humans were there and accounted for, and be rewarded by me the same way each time, her saying”Good dog yea, throw my stick.” Her daily reward was play, love, and affection. In the rapids she was even more keen to keep track of the people. If necessary, if anyone fell out of the boat, when I could not reach them if they needed help all it took was a “Go get’m,” and she would be out of the boat swimming towards the person. Many people have asked how did she rescue people’s lives? She would swim circles just out of the reach of the people, who would struggle towards Dojie, in turn saving themselves by following her to safety. Little children she would allow to grab a hold of her life jacket. She loved taking care of humans, making sure they were safe, ensuring that each human had a better tomorrow. Her duties and jobs extended beyond the river. She felt it necessary at each and every stop to sweep the area, making sure that any and all dangerous things were found and alerted to. Also keeping track of all the humans was necessary, because, you know how those humans are, one of them might get lost. I can remember one time with a Boy Scout troop in the high desert, after a long day of throwing 24 people’s gear down the river my concentration was on setting up camp and starting dinner. I can remember a little boy walking up to me, “Marlin, your dog is snapping and growling at us and she will not let us go to the bathroom.” This was not like her whatsoever. I went and investigated, and sure enough there was Dojie firmly planted in the middle of the trail, bushes on one side and a steep bank on the other. As I approached Dojie, she did not move, and when I got closer Dojie growled at me. I was shocked! My Dojie just growled at me? But something inside said, “ask her why…” so I did. “Dojie, why are you growling at me and the kids? This is so unlike you, I’m disappointed.” She stood up and barked at the bush and the bush rattled back, and out came a 6 foot rattler! If anyone had walked past it would have struck! Once again Dojie topping her training. One winter the river was raging at a level that was going to be amazing. My friend had asked me to take his girlfriend by boat because I was the most experienced guide that day. Dojie and I took her in a 14 footer. As we came to one rapid the force of the water was pushing up against a massive rock, splitting the river in two directions, downstream and into a whirlpool eddy with logs in it leaning against the cliff face. That day instead of going downstream I ended up in the room up in that hole in the wall. As the boat pitched left I was kicked out, surfacing and swimming to shore. Left in the boat was our friend and DOJIE! spinning circles around and around and around. Dojie was running back and forth from one side of the boat to the other always keeping her eye on me. I made my way across the river, up the cliff, and over to a log which I shimmied down, to a small flat rock. I waited for the boat to circle back around and jumped in. After 45 minutes of attempting to exit the spinning vortex, it was apparent that it was not going to happen. At that point is when I noticed a chain link ladder behind a log; apparently I have not been the first person to end up in this predicament. The girl went up first. Then I found a small shelf to put Dojie on and turned around to grab my throw bag to clip her to. I figured I’d throw the rope up top so they could pull Dojie up the cliff. I turned around to see Dojie with two paws on the ladder, and two paws on rock, climbing up the cliffs to the shelf above. I could not believe what I was seeing! My dog was climbing the cliff with the assistance of a chain link latter. I turned around and looked to my friend. “Did you see that?” I yelled. He said, “Yes, and if I was not sitting here I would not believe that it actually happened!” I turned back around and looked up to see my dog’s head over the cliff, tail wildly wagging, looking down as if say, “Aren’t you going to come up?” In disbelief I began to climb to safety, shaking my head, wondering how my little dog climbed a ladder and a cliff. Dojie loved to interact with people. She thought that their job was to throw sticks and balls, on rivers, about cliffs, anywhere possible. She learned at an early age that if you took the stick back to the person over and over again they would get tired, so you must share the stick with all the people. In camp this was a rule; for one person she’d get the stick, then take it to the next person, then the next person around the fire, going from chair to chair, taking this stick to each person. If one person said no she would move onto the next person until she had made it all the way around the circle. Then she knew who would play and who would not. For the remainder of the evening each person who played would get to throw the stick two times in a row, then Dojie would move on to the next one. It was important to share the stick with all the people. I learned to keep my tent open slightly to allow Dojie to enter as she wished. Her circadian rhythm was always better than mine; she knew the daytime was uptime and nighttime was sleeptime because the day would come soon. She also knew that she was a black dog, staying out of the way of the humans during nighttime because they couldn’t see her. Clients would ask, “So where is your dog?”and I would find her soundly sleeping in bed. There were many evenings that she comforted a child or someone that was afraid of the dark or the wilderness. Day and night she took care of the humans and the humans took care of her. We worked on a lot of Boy Scout trips. On one particular trip we pulled off to fix dinner at camp. Here in the Northwest, many times near the rivers there are free range areas. As we fixed dinner the boys wanted to go play, and as they ran off I looked to Dojie and told her keep track of the boys, “Go with and keep them safe.” The boys hiked up a hillside, and a little while later I heard screaming and running and then barking. As I ran up the hillside the boys came streaming past, screaming, “It’s going to get us! It’s going to get us! Run! Run!” When I got Dojie, I found her herding a cow, running circles around a new born calf. Apparently the boys, being boys, were throwing dirt clods at the cow, not knowing that she had a brand new baby nearby. When mama got irritated, she started to chase them. Dojie seeing danger placed herself in between the boys and the cow, allowing the boys to run to safety until I called her off. From young to old, Dojie loved all humans. Her two favorite words were always camping and rafting, and she loved going everywhere with me: to the store, to the river, hiking, or to a party. She was the party dog. I can remember one particular party where I watched her wander around visiting with everybody. There were probably close to 500 people at the party. I decided to see if she could actually track me down, so I wandered through the crowd quickly in circles, retracing my steps in different directions. There was a small bowl just outside the party where I put myself and whistled for Dojie. I watched as she traced my steps until she found me. For me there were three great dogs: Lassie, Old Yeller, and Dojie. Only one had a dream for a better tomorrow – DOJIE. Throughout her life and her adventures, she always had a lighthearted spirit no matter the situation. We experienced life together. CHECK BACK IN TWO WEEKS FOR PARTS 3 & 4! !